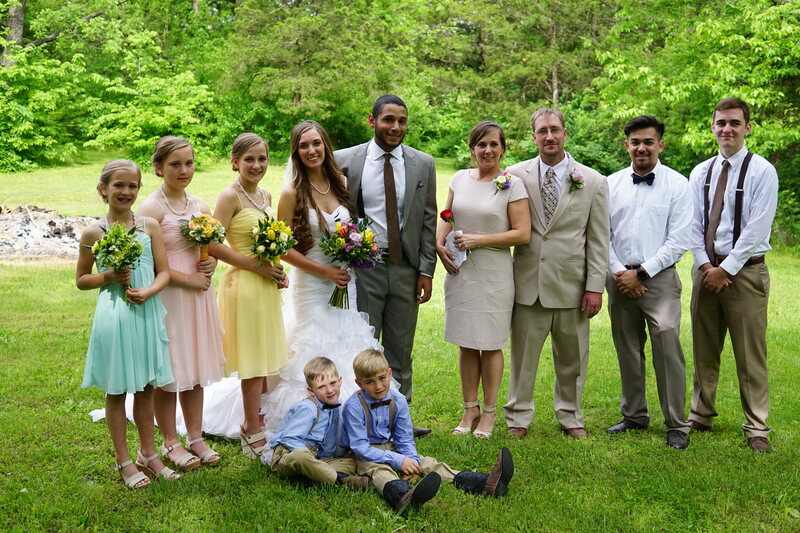 I am Sabrina, a mom to 8 precious children who are the delight of my life! My passion is empowering you through support and education in your childbearing year. Unfortunately, birth is not honored in our society. It is taken lightly, as if it has no lasting impact on the life of the mother or the child. I have experienced enough to learn the hard way that this is a total lie! The way we view birth must change, we need to respect and honor birth and love and respect the woman and baby. Babies should have the chance to come into this world GENTLY! I had to experience the opposite of gentle birth to realize how important it really is. It is my life’s passion to reach as many women as I can and empower them to make informed choices in their pregnancy and birth. I graduated from Hickman High School in Columbia MO in Jan 1996. This was a semester sooner than I should have as I had worked really hard and completed school early. I quickly married and became a stay at home mom. I embarked on the wonderful journey of homeschooling my children, even as they seemed to come every couple of years. Through educating my little ones I realized the potential to learn just about anything on your own. Once I realized I was going to be a midwife, I began to learn all I could from books. I self studied for years before entering a full time apprenticeship in Feb 2013. By April 2014 I was taking my own clients under the supervision of my mentor and senior midwife. 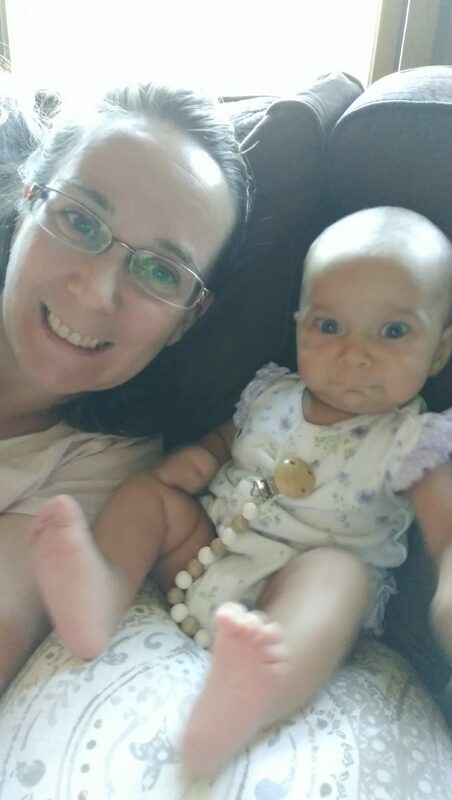 In October 2015 I began traveling back and forth to Wisconsin to work in a very busy birth center which primarily serves the Amish and Mennonite women of Southwest WI. I completed that apprenticeship in the fall of 2016. In the last four years I have attended over 90 births and assisted with a twin and a breech delivery as well as managing a surprise breech delivery. Upon completion of my apprenticeships I sat for the nationally recognized board exam to obtain my CPM credential. I attended a week long intense training for Advanced Midwifery at The Farm in Tennessee, with the world renowned home birth midwives in June of 2015. 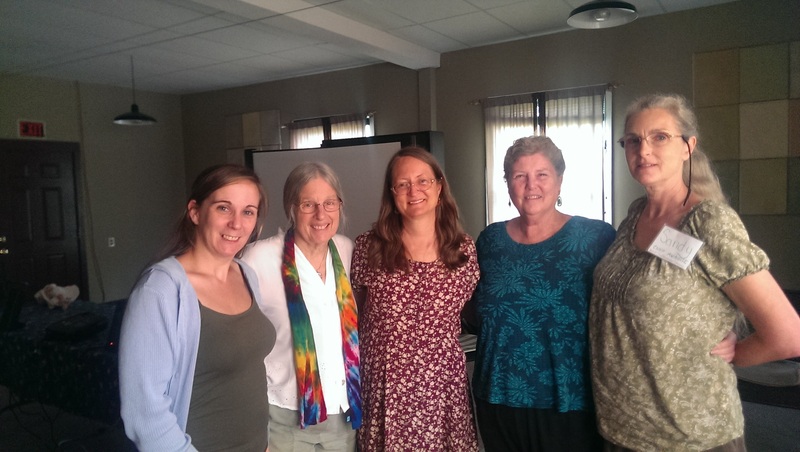 This picture is me on the left with 3 of the Farm midwives and another workshop attendee. We also covered many other topics! I delivered my first son via C-section after a long, failed induction. I believed I was doomed to repeat surgical deliveries with all my babies as the Dr’s had said I possibly had CPD (Cephalopelvic Disproportion). Fortunately, when I was pregnant with my second child I was encouraged to try for VBAC by my OB. I was successful and delivered my daughter vaginally, all 8 lbs 14 oz’s of her! I had two more babies via VBAC in the hospital in the next 5 years. 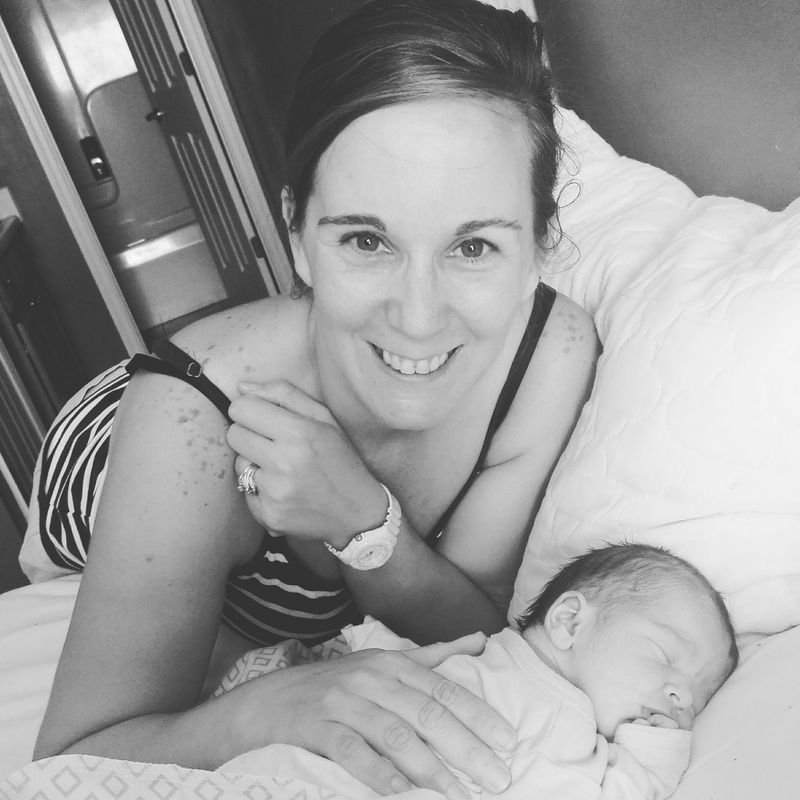 Shortly after my 4th baby was born I was introduced to home birth. I knew I would have more babies and I was inspired by the testimony of so many other moms who had such beautiful birth stories and I wanted that for myself. I went on to have my next 3 babies with a couple of wonderful Dr’s who ran a free standing birth center. They had midwives who worked with them who supported me in delivering my next 3 babies totally naturally. They were all born gently on their own timing after 41 and 42 weeks into the water. These births were all wonderful! I learned first hand what birth can be like! A wonderfully empowering cherished experience! I had my mom and MIL attend these births just so they could see how wonderful it can be. I nursed all of my babies for as long as possible. The last 5 weaned themselves on their own, with one of them nursing till he was over 2. Once I experienced midwifery care and empowered birth, out of the hospital, I had to share with as many women as I could that they too have this choice! Check out this video introduction of me and my services. I come to birth work with a strong passion and desire to share what I have learned. We women are being held back. We are so much more powerful than we give ourselves credit for. We do not have to be silent observers while birth happens to us by medical professionals. We should be actively engaged and participating in our pregnancy and birth. We do have the capability to have a wonderful birth, however, this takes a strong will to do so! With loving, encouraging support more women will come to know this. I plan to empower as many women who will allow me! 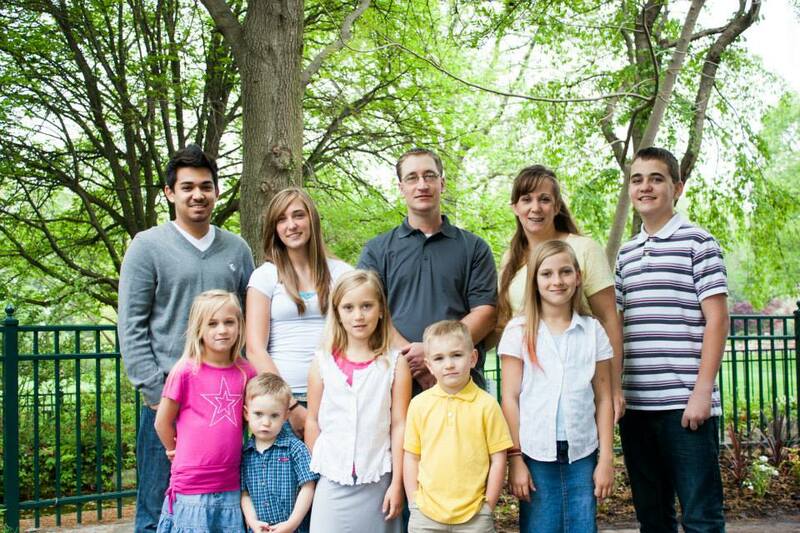 My amazing family is the backbone of making this life style a reality. Without their loving and dedicated support I could not do this work. My wonderful husband, Mike, is so very supportive of me, which is hard sometimes as I am such a strong willed and determined woman. He is my other half whom I love dearly. He holds everything together while I am away for days or weeks on end. My children are just the best as they share their momma with so many other families. We have all made HUGE sacrifices for me to become a midwife but we all know that it was well worth it as I am now able to serve many women and families around me! My sweet family supports me in this work so you can rest assured I will never need to miss your birth due to my own family needs. of supporting her as she birthed her first baby girl!! daughter chose me to be her midwife!! We are all so blessed with her little Emerest May!